WE WANT THREE MILLION DANCING BY 2012! So say the organisers of Big Dance 2010. How are they going to make this happen ? At the star-studded launch of T-Mobile Big Dance 2010 on stage at the London Palladium today, the Mayor of London, Boris Johnson, revealed his ambition to see it reach 3 million Londoners and inspire the whole country to get involved, as a key cultural project for 2012. Big Dance is London’s Legacy Trust UK programme led by the Mayor of London in partnership with Arts Council England and supported by major organisations including: Sport England, NHS London, London Councils, Museums, Libraries & Archives, London and the British Council. Big Dance, originated by the Mayor of London in 2006 in partnership with Arts Council England, is the world’s biggest and most influential dance initiative and is delivered through a network of London’s leading dance organisations: East London Dance, English National Ballet, Greenwich Dance, Sadler’s Wells and Siobhan Davies Dance. Legally Blonde star, Sheridan Smith, Dance Champion, Camilla Dallerup and multi award-winning choreographer Jerry Mitchell (Hairspray), joined the Mayor on stage, alongside the star dancers, known as ‘dance captains’, of thirteen of London’s West End musicals including Grease, Sweet Charity, Love Never Dies, Priscilla Queen of the Desert, Legally Blonde, Mamma Mia!, We Will Rock You, Disney's The Lion King, Chicago, Sister Act, The Phantom of the Opera, Hair and Burn The Floor. Brought together by the Society of London Theatre to perform a specially choreographed version of 'You Can't Stop the Beat', Jerry Mitchell's hit number from Hairspray, with some of the best dance students from leading vocational schools across London. 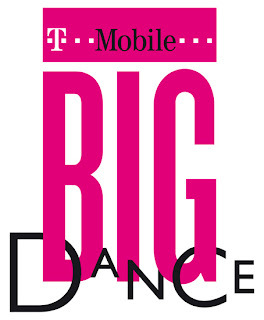 The unique event, attended by around 2,000 people, was specially organised to launch this year's T-Mobile Big Dance, which features 850 events over 9 days and is expected to reach more than 1.2 million people over ten days. The Mayor of London Boris Johnson, who is supporting the event, said today: ''What better place to launch this year's spectacular celebration than the illustrious Palladium, which is so associated with the magic of music and dance. You might be the coolest of hip-hop dancers or an ardent balletomane - the beauty of Big Dance is it gives you the chance to experience these and everything between. T-Mobile Big Dance 2010 takes place from 3-11 July. Among the highlights of the hundreds of events will be The Big World Dance, taking place through the streets of London on Saturday 10 July featuring a cast of thousands of Londoners and directed by Luca Silvestrini, Artistic Director of Protein Dance with a specially created soundtrack by DJ Walde. Here are full details of how to take part. Big Dance is funded by Legacy Trust UK, an independent charity set up to create a cultural and sporting legacy from the London 2012 Olympic and Paralympic Games. Legacy Trust UK is an independent charity whose mission is to support a wide range of innovative cultural and sporting activities which celebrate the London 2012 Olympic and Paralympic Games and which will leave a lasting legacy in communities throughout the United Kingdom. Legacy Trust UK is funded by a £40 million endowment from the Big Lottery Fund (£29m), Department for Culture Media and Sport (£6m) and Arts Council England (£5m). The programme also receives funding and support from Mayor of London, Arts Council England and Dance Champions. This year’s headline sponsor is T-Mobile. Arts Council England works to get great art to everyone by championing, developing and investing in artistic experiences that enrich people’s lives. As the national development agency for the arts, they support a range of artistic activities from theatre to music, literature to dance, photography to digital art, and carnival to crafts. Between 2008 and 2011, they will invest £1.3 billion of public money from government and a further £0.3 billion from the National Lottery to create these experiences for as many people as possible across the country. (Of course, the Comprehensive Spending Review in October is yet to come - and this is when we will learn how deep the cuts in arts spending will be). Today the Dance Champions launch the first ever free online dance directory, making it easier for people to find local classes. To close Big Dance 2010 and celebrate the launch of its new ‘Night In’ customer loyalty offer, T-Mobile is also hosting a top secret open air screening in an iconic London location of movie classic Dirty Dancing, on the evening Saturday 10 July. Fans of the film will have the time of their lives, thanks to a stage performance from the stars of the Dirty Dancing musical, a live dance movie mash up from leading VJ ™ Hexstatic and the chance to watch the ultimate movie love story of Johnny and Baby on the big screen. Register for the limited availability tickets by 5th July here. Lynne Ormrod, Head of Brand and Advertising for T-Mobile said: “We are passionate about encouraging our customers to participate in extraordinary events. We wanted to use our heritage in dance, thanks to our Dance advert at Liverpool Street Station, which attracted over 17 million views on YouTube, to encourage Londoners to embrace and support the T-Mobile Big Dance campaign and join in themselves. Wow--I LOVE your blog!! I am going to become a follower as soon as I make this post--it's SOOO awesome!!! Oh this event sounds like a lot of fun!!! Diana Mieczan - thank you ! Cloudia - Aloha and thank you ! lori vliegen - it does !